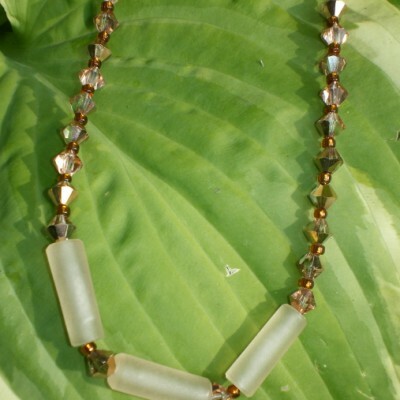 18 1/2″ Long Necklace. 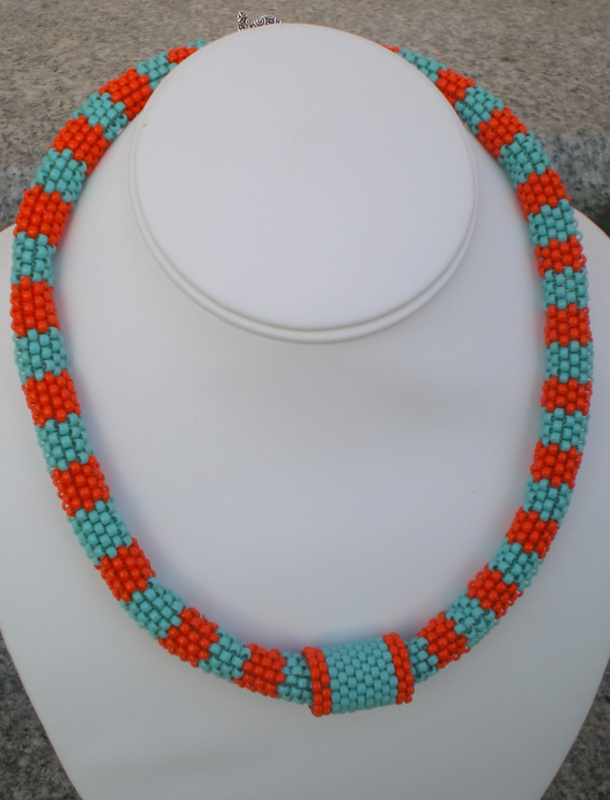 Orange and Turquoise color seed beads. 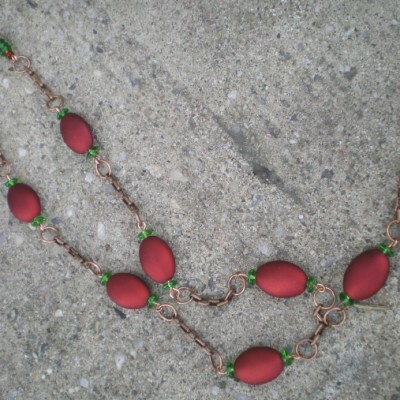 Alternating color pattern, with a different stitch front focal point. Antique silver swirl design toggle clasp. 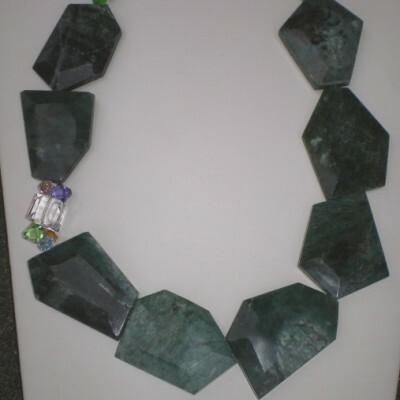 If you like big bold pieces this is for you. 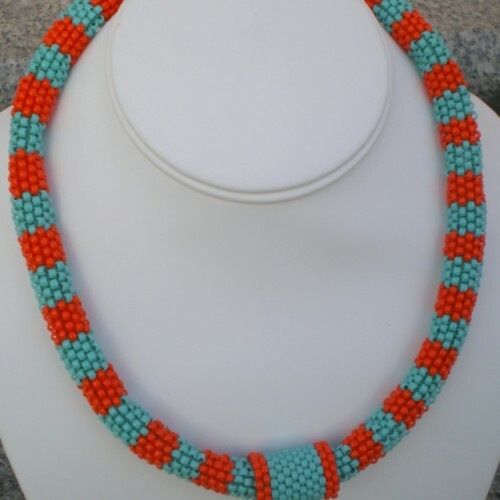 Be the first to review “Orange And Turquoise Beadwoven Necklace” Click here to cancel reply.